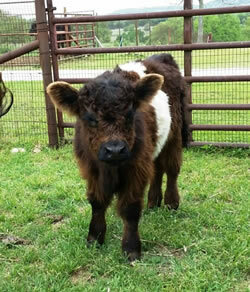 We are Bob and Sheri Riley and we have always been country folks who love animals. 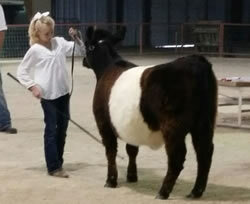 Throughout the years one or the other of us has been involved in raising and showing various animals. 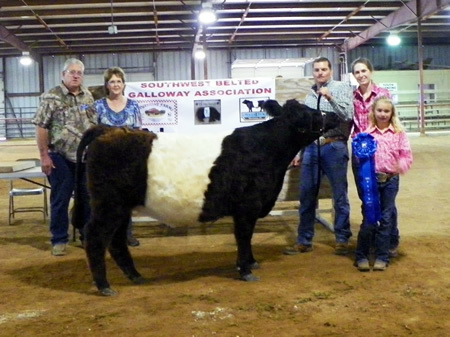 Bob showed Brahman and Brahman cross cattle in his younger years, and Sheri showed Quarter Horses, Arabians and llamas over the years. She was also quite involved in the American Ostrich Assn. and raising Ostrich for their healthy meat. 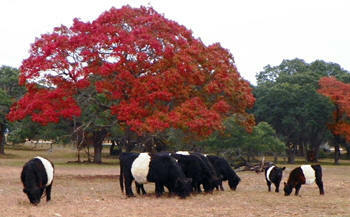 When we decided to raise a few cattle, both of us were taken by the beauty of the Belted Galloway. 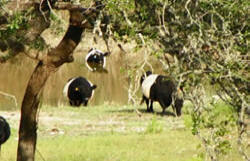 So we studied them and decided these were the cattle we wanted on our farm. They became the next chapter in our book of animal adventures! 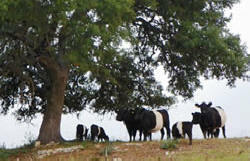 This Belted Galloway Cattle site written, hosted, and maintained by HUEY Productions.